On Monday, March 19, 2018, the Grand Theater - National Opera in Warsaw hosted the 100th anniversary of the ZAiKS Association of Authors. 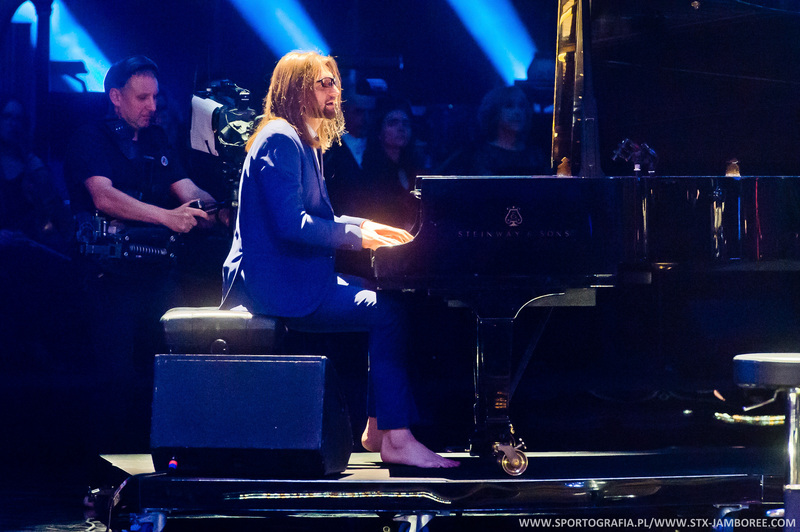 The most outstanding Polish artists, including the greatest stars of Polish classical music, entertainment and jazz, took part in it. Recognized representatives of Polish culture appeared on the stage as well as among the audience. During the gala ceremony, the 100th anniversary awards of ZAiKS for Krzysztof Penderecki, Tomasz Stańko, Mirosław Bałka, Krzysztof Zanussi, Ryszard Horowitz, Jacek Cygan, Janusz Gajos, Agnieszka Duczmal, Leon Tarasewicz and Wiesław Myśliwski were presented. On this occasion, ZAiKS's Honorary Memberships were also granted. They were received by Jean-Michel Jarre, Jan A.P. Kaczmarek, Adam Makowicz, Jerzy Maksymiuk, Emil Wesołowski, Jan Kanty Pawluśkiewicz, Joanna Kulmowa, Janusz Majewski and Polish PEN Club. The hosts of the evening were Sonia Bohosiewicz and Artur Orzech. 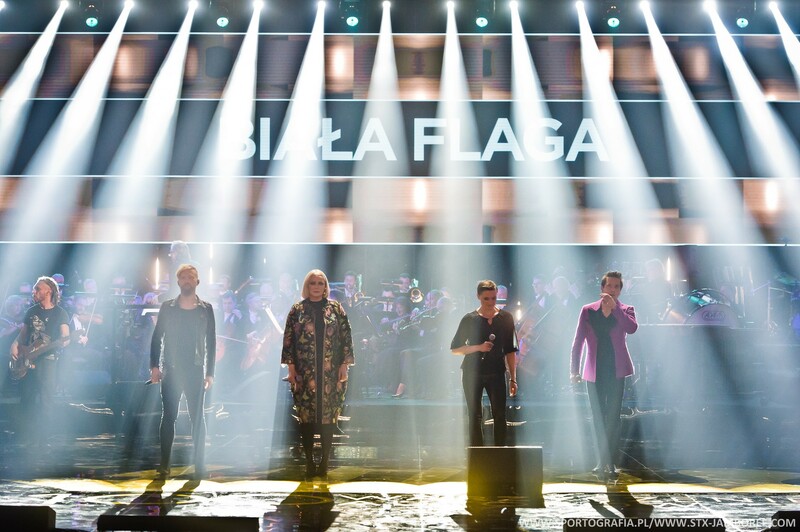 The gala was graced by a two-hour Concert of the 100th Anniversary presenting the achievements of ZAiKS members performed by the greatest stars of the Polish stage. More than 300 artists have appeared on the stage. Representatives of several generations of diverse genres and musical traditions met in the Grand Theater. Especially for this occasion, a new series of songs has been prepared. Fragments of nearly seventy unforgettable works written by over a hundred Polish artists have been presented. The Orchestra of the Grand Theater - National Opera in the fifty-member band, the forty-member Choir of the Grand Theater - National Opera and many other instrumental musicians appeared on the stage. The 100th anniversary concert was opened by a pre-war retrospective written by Marcin Masecki, followed by a bigbeat bunch from the 1960s and 1970s by Kayah, Kuba Badach and Katarzyna Cerekwicka, and a unique selection proposed by Magda Umer in tribute to the great authors of the Polish song - Agnieszka Osiecka Wojciech Młynarski, Jeremia Przyborze, Jerzy Wasowski, Jonasz Kofta and Zbigniew Wodecki - performed by Maryla Rodowicz, Hanna Banaszak and Stanisław Soyka. One could also hear a rock collage from the 80s with Katarzyna Nosowska, Tomasz Organek, Krzysztof Zalewski and Natalia Sikora in the company of the Titans of the Guitar. Tribute to Polish jazz and Krzysztof Komeda, he made a super band under the direction of Tomasz Stańko, next to which were performed by Leszek Możdżer (photo), Michał Urbaniak, Zbigniew Namysłowski, Wojciech Karolak, Sławomir Kurkiewicz and Cezary Konrad. There were also film compositions by Wojciech Kilar, Krzysztof Penderecki, Jerzy "Duduś" Matuszkiewicz, Jan A.P. Kaczmarek, Krzesimir Dębski and Michał Lorenc. And all this in the performance of Zbigniew Namysłowski, Edyta Krzemień, Anna Jurksztowicz and the Orchestra of the Grand Theater - National Opera under the direction of Krzesimir Dębski. A song of the genius of Fryderyk Chopin's music was also performed. His work has been an inspiration for many generations of composers. This time, the artist's work was interpreted by a Polish musician of world renown - Włodek Pawlik. Igor Herbut, Kaliber 44, Anna Lasota and Katarzyna Wilk with a choir and orchestra conducted by Aleksander Maliszewski took us on a more contemporary musical journey - from the 90s to the latest sounds. The musical culmination of the 100th anniversary of the Association of Authors ZAiKS was a fragment of Karol Szymanowski's Stabat Mater performed by opera singers: Iwona Hossa, Małgorzata Pańko - Edery and Jarosław Bręk with the choir and orchestra conducted by Jerzy Maksymiuk. Paulina Bidzińska - a soloist of the Polish National Ballet and the Eurovision ballet winner - made a choreographic arrangement by Emil Wesołowski. Guests also listened to the moving interpretation of the song It's time for a dream by Jeremy Przybora and Grzegorz Wasowski performed by 166 children from children's choirs under the direction of Agata Steczkowska - among them Alla Pollaca, Animato, Conquest of Music, Warsaw Thunder and Children's Choir Agata Steczkowska. The authors of the arrangements for symphony orchestra were Krzysztof Herdzin, Jakub and Dawid Lubowicz, Aleksander Maliszewski, Marcin Masecki and Krzesimir Dębski. The musical setting of Gala was based, among others, on the motifs from Mieczysław Karłowicz's symphonic poems. Episode on the Masquerade op. 14. The spectacle was highlighted by a unique visual setting - several hundred archival photographs depicting the most outstanding Polish artists of the last century. Also shown are films presenting the achievements of ZAiKS Authors' Association and the most important challenges that lie ahead of it, as well as film impressions with the participation of outstanding artists. Videogram (television registration) © 2018 Telewizja Polska S.A.